THE PIANA'S ITALIAN WOOL TRADITION. 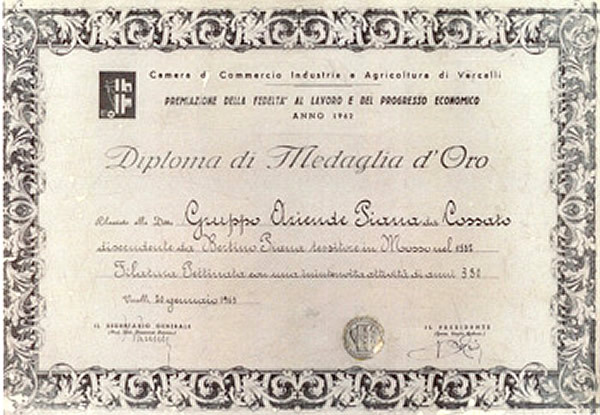 The Piana family was one of the founders of Biella's wool industry. They commenced their ancient tradition in 1582, and the commitment to manufacturing has been handed down throughout the generations. Expertise in production has evolved over the centuries through unwavering entrepreneurial guidance, steadily developing and strengthening the international renown of the Piana textile dynasty. On the 7th May 1582, a register of merchants and artisans known as the “Consegnamentodello Mercanti ed Artefici del luogo di Mosso”, was drawn up by order of Duke Carlo Emamuele I of Savoia. It included the name of Bertino Piana who, amongst the “wool makers” of the time, founded the very first weaving mill. Since then, the Piana looms have continued to echo across the Biella valleys, weaving their melody of love and passion for the trade. The family’s history is bound inextricably with the art of weaving wool and precious fibres. The many varied techniques, developed to perfection over the years, have inspired the company’s mission to offer a technically impeccable product every time. For over four centuries, the lives of the Piana artisans have remained in rhythm with the beat of the looms and, in so doing, woven a genuine history of total commitment. Few families can boast centuries-old loyalty to the same profession. A profession and family business that revolves around a single core with a unique and constant source: the very finest wool. The Piana family was born, has grown, evolved and continues to thrive by continual adaption to the dynamic environment of their trade. A trade which has seen development from handicraft to industry, and so they must surely be acknowledged, not least from a historical perspective, as pioneers within the industry. 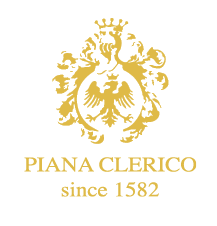 Sustained by a wealth of experience and solid tradition, the Piana Clerico family has now begun a new chapter in that tradition, conceiving products enthused and enriched through weaving a blend of emotion, colour, and the play of light and shadow that can now bring diverse emotions to life. Noble fibres such as cashmere and silk, have been enhanced with gold yarn – interweaving fabrics with the glow of elegance. Like an age-old oak, in keeping with the Piana family’s heraldic motto “Auxilium Meum Domino” (The Lord will help me), the stormy passing of the centuries has been endured. The Piana oak remains steadfast, and now lush new fronds are springing forth in the form of a new collection. The latest milestone in the journey marks the conception of a range of accessories, in which dream has been transformed into reality. Breathing life into unique pieces that will wrap in soft emotion and enchant with their elegance and perfection.